Numerous conditions can affect the colon, also called the large intestine, and surgery can successfully treat many of these conditions. However, surgery involving a major organ can require a long and difficult recovery period. 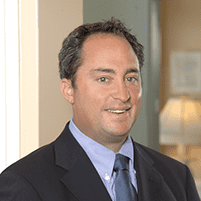 Dr. Matthew Lublin is an expert in minimally invasive laparoscopic colon surgery. If you would like to find out if a laparoscopic procedure to correct colon issues is an option for you, book an appointment online or by phone with his practice in Santa Monica, California. What are common reasons people need colon surgery? What is the difference between traditional colon surgery and laparoscopic colon surgery? In traditional colon surgery, the surgeon works through a large incision with a direct line of vision. Dr. Lublin performs laparoscopic surgery through several small incisions using a laparoscope, which is a tiny camera that allows him to see the organs magnified on a screen. Traditional or open, colon surgery requires a longer stay in the hospital and a longer recovery time, but it is sometimes the most appropriate choice. Dr. Lublin may recommend open surgery at the outset, or choose to convert from laparoscopic to open surgery during the procedure. Your safety is always his top concern. Whether you have a laparoscopic procedure or open surgery, you will need time to recover. Dr. Lublin will provide thorough instructions that will help you heal as quickly and completely as possible. Immediately following the surgery, you will need to recover from anesthesia. You may have a sore throat and feel groggy. You will be given oxygen to help you recover. You will most likely begin to drink fluids the day following surgery, and you may be allowed to resume eating as well. Feeling nauseated or even throwing up are common reactions. You’ll be expected to walk the day after surgery. Walking will reduce muscle soreness and help prevent complications such as pneumonia. Many patients work with a nutritionist through the transition to a normal diet, at least through your follow-up appointment with Dr. Lublin two weeks after surgery. The best way to avoid complications is to carefully follow Dr. Lublin’s instructions after surgery. Moving and walking throughout your recovery period keep your blood circulating properly, which can ward off blood clots and pneumonia. If your physician has recommended colon surgery, schedule a consultation with Dr. Lublin. He can answer your questions about laparoscopic procedures versus open surgery, as well as address any concerns you may have regarding the surgery.